The history of winemaking in Cyprus is very old, one of the oldest in the world. Recent excavations by Italian archaeologists have revealed the sensational truth that in this small island the production of wine dates back some 6000 years. At the village of Pyrgos in Lemesos district, two jugs were found which had been used for wine – even grape pips were traced! At the village of Erimi eighteen pots were unearthed, twelve of which had been used for wine at some period between 3500 and 3000 BC. This cultural heritage is the oldest in the whole Mediterranean basin and leads to the assumption that Cyprus triggered the spread of winemaking to Greece, Italy, France and other regions. There is an abundance of archaeological findings which provide ample evidence that viticultural activities in Cyprus date back to the depths of time. There are unique ancient mosaics portraying god Dionysus (Bacchus), very old wine-presses at the villages of Omodos, Lania and elsewhere and amphorae and other wine-related pots crowding the island’s archaeological museums. They are all tangible proof of Cyprus’ viticultural history through the centuries, testaments of an awe-inspiring heritage in wine making. 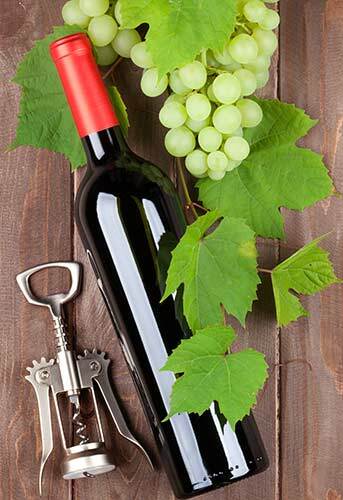 Studies indicate that the grape varieties in Cyprus are some of the oldest in the world. Fashions change however and Cyprus has had to adapt its wine industry. Foreign varieties, like Cabernet Sauvignon, Grenache, Carignan Noir, Chardonnay and Semillon, have been successfully introduced in the past 20 years and are used for blending with the local varieties, as well as producing small quantities of “varietal” wines. In the early 1980’s, small wineries of 50.000 to 300.000 bottles-a-year capacity were set up on the hill villages of the grape growing regions. There are now more than 40 regional wineries which are producing more diversified and characterful wines. The first of these was at Chrysoroyiatissa Monastery in the Paphos district, whose Monte Roya winery was established with German technology and equipment, making a range of good quality wines. Whilst this exciting development has been taking place, the four traditional wineries (ETKO, KEO, SODAP and LOEL) have also been very active. They have planted hundreds of thousands of new vines of well known international varieties and re-discovered old indigenous ones. Their laboratories have researched new production techniques and their oenologists have introduced new styles and brands. All this of course is good for the wine lovers. 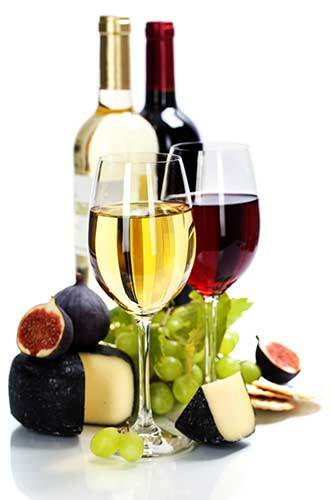 There is a wide range of wines to choose from at prices that still represent very good value. The Cyprus wine industry has a battle on its hands, but everybody in the sector is confident that the island will ultimately get the place it deserves on the international wine map. 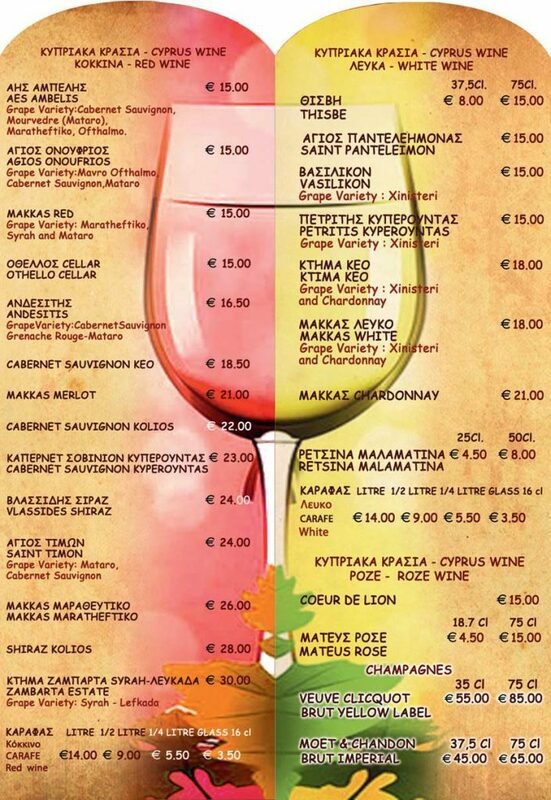 After all, Cyprus wines continue a wonderful 5.000 year-long tradition of enjoyment! Διανυκτέρευση για 2 άτομα με Πλούσιο Πρωινό & Δείπνο! Κακοπετριά : Η ιστορία του δημοφιλέστερου ορεινού χωριού της επαρχίας Λευκωσίας ξεδιπλώνεται.